Summer is go-time when it comes to the grill: from fruit and pizza to burgers and ribs, it gets quite the workout this time of year! Maybe you've grilled typical vegetables like corn, eggplant and peppers before, but now portobello mushrooms can be added to your fired-up menu, too. 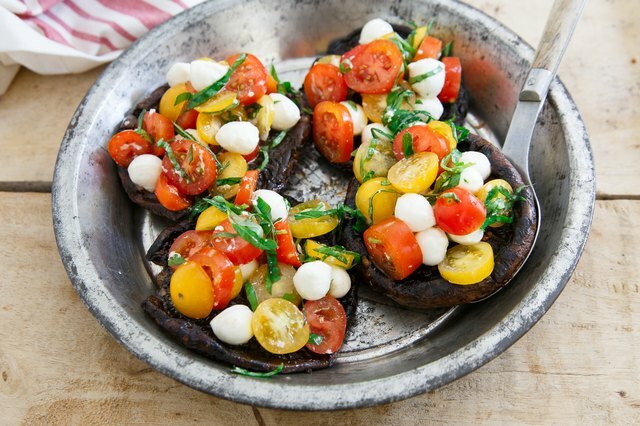 Place hearty mushrooms on the grill to give them the perfect smoky char, and then whip up a bright caprese salad — made with cherry tomatoes, mozzarella and basil — to place inside their caps. The textured, colorful dish makes for a beautiful appetizer that's perfect for an al fresco meal with friends and family. 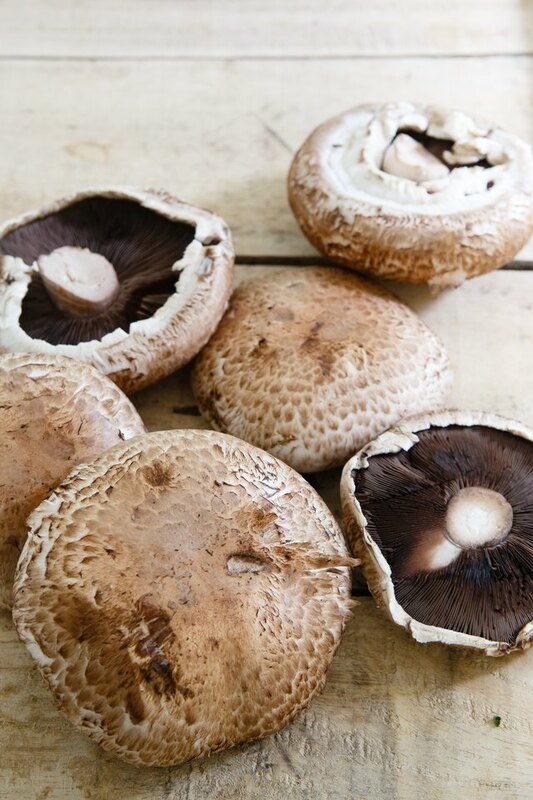 Mushrooms should never be submersed in water when cleaning — they're like sponges and will become soggy. Simply dampen a paper towel and gently wipe off any dirt on the exterior caps of the mushrooms. After, flip the mushroom caps over and remove the stem, leaving the gills intact. 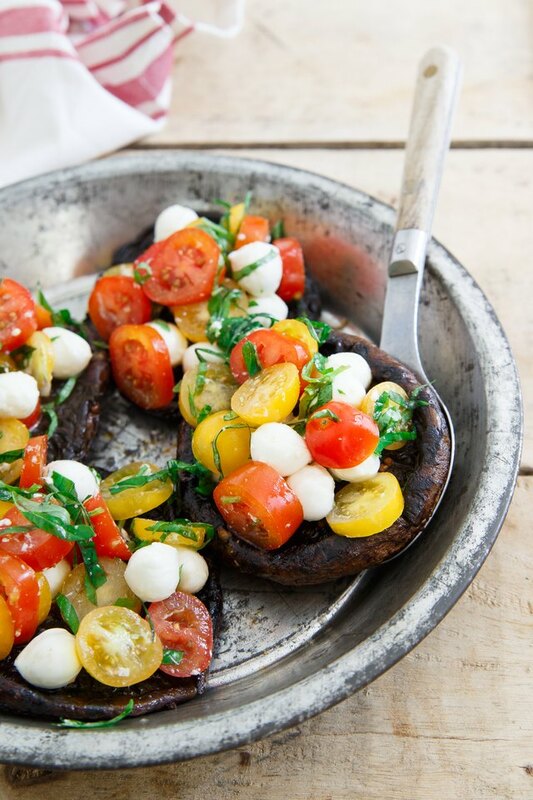 While you can certainly grill the portobellos plain, this simple balsamic-based marinade gives them a ton of flavor for relatively little work. 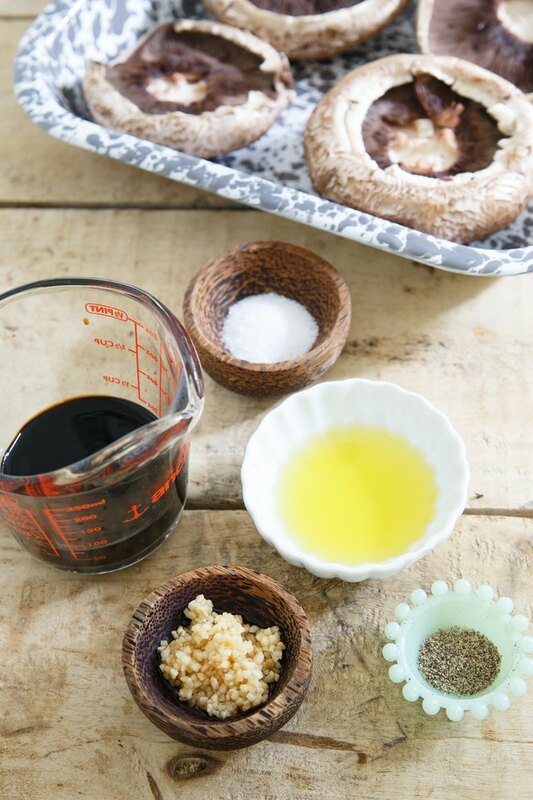 Whisk the ingredients together in a small bowl and liberally brush the mixture onto both sides of the mushrooms. Let them sit in the marinade while you preheat the grill. Heat an outdoor grill or indoor grill pan to medium-high heat, or about 450–500 degrees. Place the mushrooms on the grill with the gill sides down and cook for about 3 to 4 minutes, until grill lines appear around the edges. Flip and cook another 3 to 4 minutes. 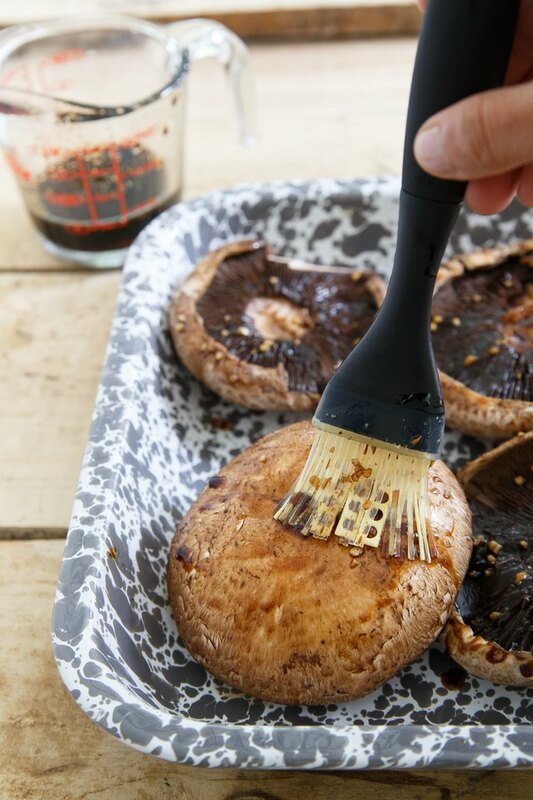 Brush the mushrooms with any leftover marinade while cooking. Mushrooms will release a lot of their moisture while cooking. If excess water pools in the caps, pour the water out and continue cooking. You can definitely eat the grilled mushrooms plain, but what fun would that be? 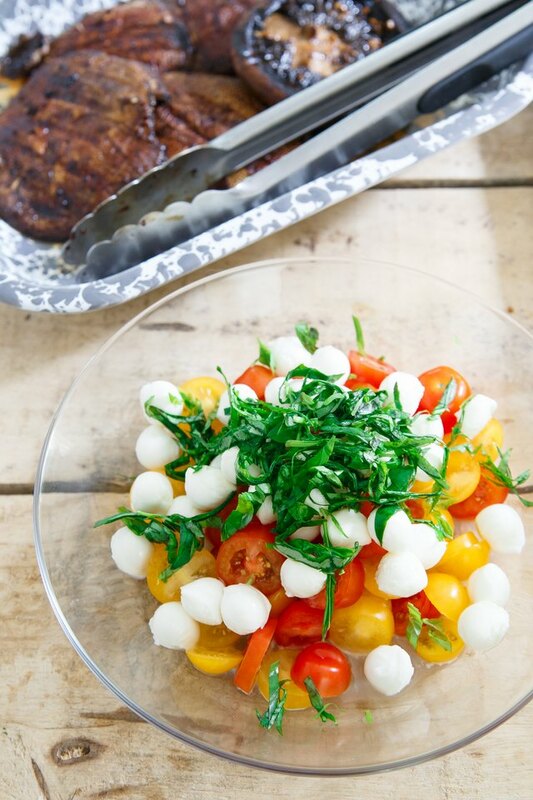 A simple caprese salad is the perfect summer topping. Combine all the caprese salad ingredients in a bowl and toss to combine. 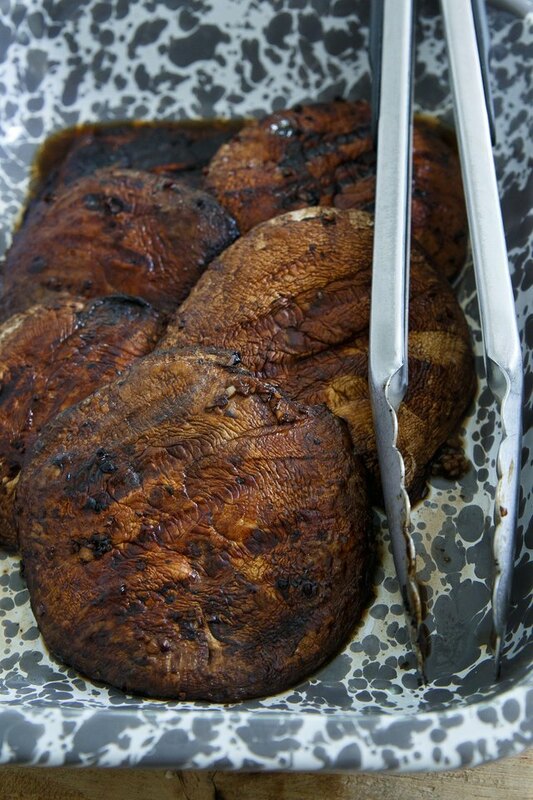 Spoon into the grilled portobello mushrooms and serve.